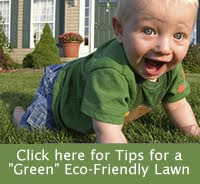 In our landscape, we use only organic means and methods for fertilizing and weed control. This is a photo of one of our favorite "weeders". He's been working non-stop since yesterday morning and brings a new smile to my face everytime I look out the window or step outside. Creating a wildlife friendly landscape is fun and easy and the visiting wildlife help to control weeds and insects.